Ask seniors where they feel safest and most will say their own home, as the window to the past, a safe haven for the present, and a legacy for the future. However, unintentional injuries in the home result in nearly 21 million medical visits on average each year. * Preferred Care at Home dedicates the month of June – Home Safety Month – to educate and empower both seniors and their families to take actions to better enjoy the comfort and security of their home. 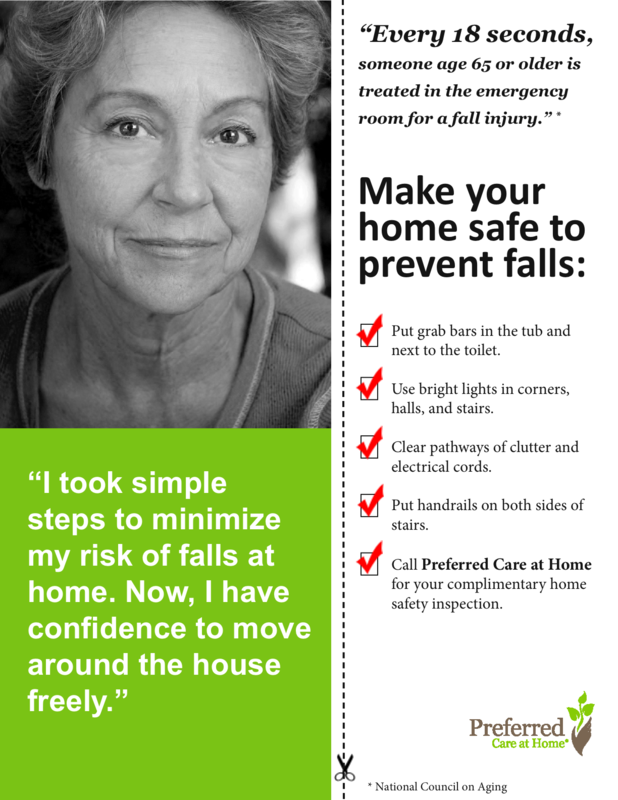 Click here for your complimentary home safety inspection checklist, or call your local Preferred Care at Home office for an in-home inspection and additional tips from senior health experts.